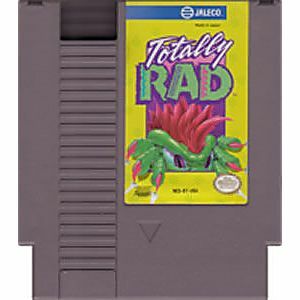 Totally Rad original NES Nintendo Game cartridge only - Cleaned Tested and Guaranteed to Work! 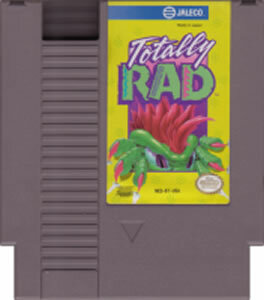 Totally Rad is far out dude! Like totally awesome, a narwly game. Really its and ecellent game, a nice story line and fun to play. It's one of those games that doesn't drag on It has 5 acts so it motivates you to go on...You will face bosses at the end of each stage which is also cool. 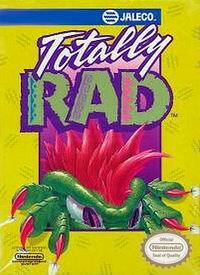 The title says it all "Totally Rad"
This is an under appreciated game that is comparable to mega man. This is not a racing game, but an action game! it has great graphics, awsome gameplay, but a terrible story. Definatley worth a pick up for any collector/player of nes games.